Destination Crenshaw is the 1.3 mile "open air museum" of permanent and rotating art exhibitions that is planned for Crenshaw Boulevard along the light rail line currently under construction. It is meant to be a celebration of the largely African-American community in South LA and, according to Councilmember Marqueece Harris Dawson, Nipsey Hussle had a significant role in birthing the project. The LA Times reported that Hussle and another South LA native named David Gross bought and were redeveloping a strip mall on Slauson Ave.
Hussle wanted to make it a mixed-use development that included low-income residential units. The anchor store in the mall is Marathon Clothing, which sold his signature line of hats and shirts with the names Crenshaw and Slauson on them. He encouraged people to wear the names of their neighborhoods with pride. I was in the parking lot of this same mall where he once sold copies of his mixtapes and, this past Sunday, was shot dead. 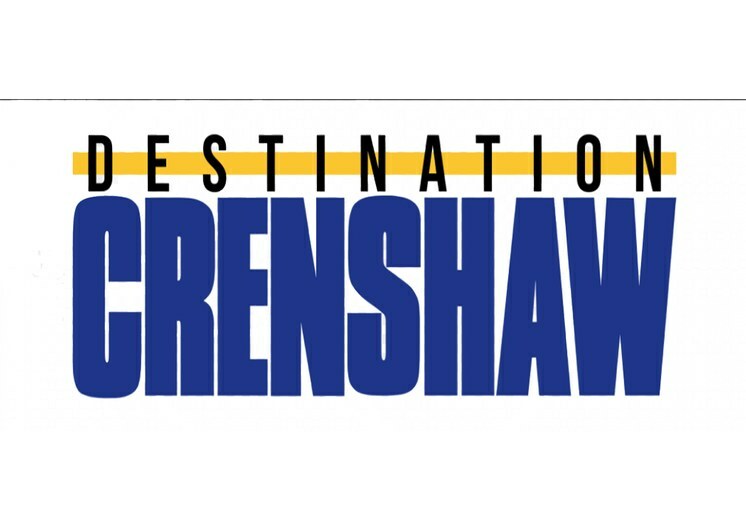 Nipsey Hussle’s team of graphic artists created the logo for Destination Crenshaw. The LA Times adds that Hussle was known for buying shoes for students, repaving basketball courts, providing jobs and shelter for the homeless, and paying for funerals for those who couldn’t afford to bury their loved ones. Hussle himself had seen death close up. He was a former gang member with the Rollin’ 60s Crips and had become a campaigner against gun violence. He had been scheduled to meet on Monday with the chief of police and a member of the Police Commission to discuss ways to reduce gang violence. 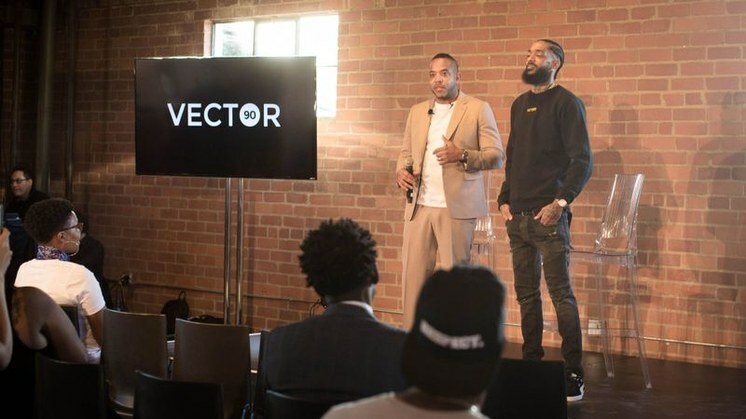 Hussle also helped create Vector90, a co-working space in the Crenshaw district for young black people interested in STEM careers. He saw it as a way to bring together underrepresented groups and Silicon Valley companies. Lawrence Ross, owner of a South LA creative co-working space called The Metaphor Club, wrote in a column for The Root about how Nipsey opened Vector90 “smack dab in the Rollin’ 60s, about 10 blocks away from Ross’s Metaphor Club. And in an interview with the LA Times, Hussle said: “In our culture, there's a narrative that says, 'Follow the athletes, follow the entertainers… And that's cool but there should be something that says, 'Follow Elon Musk, follow [Mark] Zuckerberg.’ I think that with me being influential as an artist and young and coming from the inner city, it makes sense for me to be one of the people that's waving that flag."